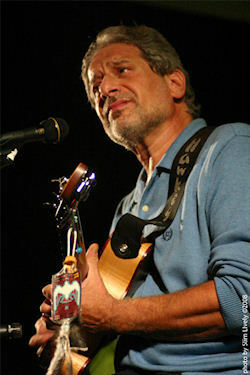 "Playing both fingerpick and slide guitar, Herman's licks are clean, yet spare..., his vocals are direct and straightforward, but full of emotion... he has immersed himself in the sound and feeling and has emerged as one of the most widely respected acoustic blues musicians around... Blues Alive! ain't electric, doesn't have drums and such, wasn't produced in a high-tech studio, but it's about as real as the blues gets." - Sing Out! blues education featured on PBS/"Oregon Art Beat."